Golden Globes nominations often contain a handful of head-scratchers and curiosities, but this is already a more curious year than most at the Hollywood Foreign Press Association. Two films that could easily have qualified as musicals, “A Star Is Born” and “Bohemian Rhapsody,” elected to go into the drama category instead. One that could have been a drama, “Green Book,” entered as a comedy. And one that will be a major contender in many categories, “Roma,” is ineligible for the best drama category because it’s not in English. Such is the landscape going into this year’s Golden Globes nominations. 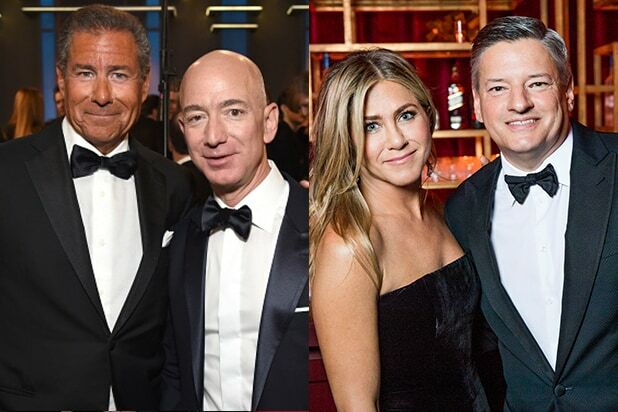 In trying to figure out which way the members of the HFPA are leaning, it helps to understand that even though the group only has around 90 voters, there are many factions within it: Some are focused on television, some are indie fans, some gravitate toward big stars who can make their ceremony the glitziest one possible. Here are our best guesses in an odd year. We think Hawke will get in, perhaps buoyed by his Gotham Award win — and since the HFPA members have been suspiciously quiet about their reactions to “The Mule,” the last slot will go to Dafoe, whom they loved as Vincent Van Gogh. We’re guessing that Davis and Kidman get in and Roberts gets saved for the TV categories, but watch out for Kulig. You can argue with the submission of “Green Book” as a comedy rather than a drama, but the HFPA accepted it that way, and you can’t argue that it’ll be one of the finalists. “Mary Poppins Returns,” the one big musical that has submitted itself as such, should be there as well, along with “The Favourite,” which might live up to its name in this category. Beyond that, “Crazy Rich Asians” is hard to ignore in a year with so much emphasis on diversity and inclusion, and “Vice” is a flashy latecomer that could slip in as well. Still, “Eighth Grade,” “The Old Man and the Gun,” “The Death of Stalin,” “Paddington 2,” “The Ballad of Buster Scruggs” and even another true musical, “Mamma Mia! Here We Go Again” aren’t out of the running. Olivia Colman is, yes, “The Favourite.” Emily Blunt is a practically perfect nominee for “Mary Poppins Returns.” It’d be a surprise if Constance Wu (“Crazy Rich Asians”) and Elsie Fisher (“Eighth Grade”) didn’t make the cut as well. That leaves the final slot open for a big star in a little-seen movie, like Charlize Theron in “Tully,” a well-liked actress in a well-liked indie; Kathryn Hahn in “Private Life”; Lily James in another true musical, “Mamma Mia! Here We Go Again”; and surprise New York Film Critics Circle winner Regina Hall in “Support the Girls.” We think Hahn will edge out Theron for the spot. If Sam Rockwell had more scenes in “Vice,” he’d be a lock — but his part as George W. Bush is so small that it could leave room for Adam Driver (“BlacKkKlansman”), Michael B. Jordan (“Black Panther”), Nicholas Hoult (“The Favorite”) or Hugh Grant (“Paddington 2”). But he’ll probably slip in because he manages to steal a couple of scenes from Christian Bale. We think that “First Man” will claim another nomination here, though Yeoh or Robbie wouldn’t be a surprise. He’s not eligible for Best Motion Picture – Drama, but “Roma” director Alfonso Cuaron is eligible here, and the HFPA likes him. They also like Bradley Cooper, and they can’t ignore Yorgos Lanthimos and Spike Lee. Farrelly’s movie is a likelier winner in other categories, but voters may bypass the guy who directed “Dumb and Dumber” in favor of the guy whose movie “La La Land” swept the Globes two years ago. You might think that with two best-picture categories and only five screenplay nominees, this category would go almost exclusively to films nominated for one of the top two awards. But in fact, almost every year at least one of the screenplay nominees is not a best-film nominee. Paul Schrader’s “First Reformed” could well be the one to turn that trick this year (and maybe even “Eighth Grade” or “A Quiet Place,” if voters want to get adventurous). 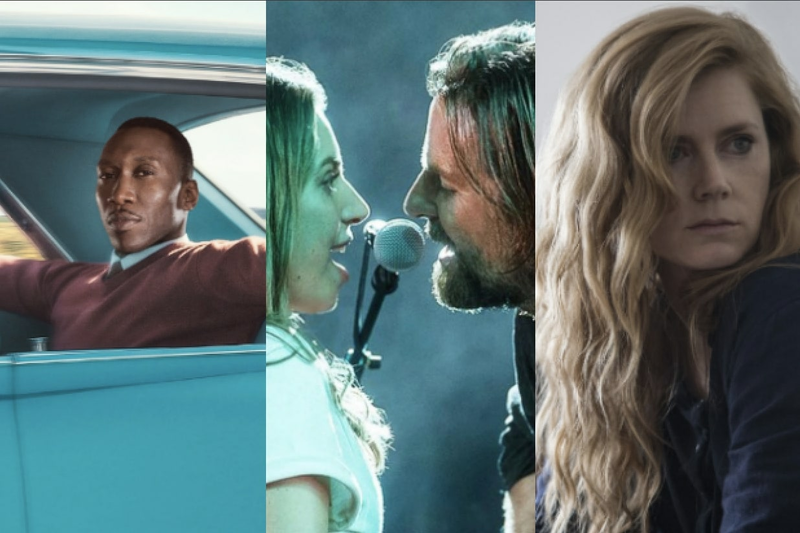 Among films that will be nominated for the top prizes, the barbs of “The Favourite” and the heart of “Green Book” should prevail, along with “BlacKkKlansman” and “If Beale Street Could Talk.” But “A Star Is Born,” “Roma,” “Bohemian Rhapsody” and “Can You Ever Forgive Me?” have real shots, too. “Shallow?” Of course. A song from “Mary Poppins Returns?” Naturally. A Kendrick Lamar song from “Black Panther?” Can’t miss that opportunity. In a category often littered with big names — and one in which documentary songs from the likes of Diane Warren and Tim McGraw are ineligible — look for Annie Lennox (“Requiem for a Private War”) and Dolly Parton (“The Girl in the Movies”) to have enough luster to grab the final two spots in a crowded field that also includes potential nominees Troye Sivan and Jonsi, Alan Menken, Kesha and Arlissa. Where the Oscar foreign-language race has 87 submissions from 87 different countries, the Globes voters are only considering 37 films, fewer than half of which are in the Oscar race. Still, Oscar contenders “Cold War” (which voters loved), “Roma” (which they might not have loved but will feel obligated to nominate), “Capernaum” and “Girl” (both of which hit hard) should be safe, and joined by the non-Oscar contender “Everybody Knows,” which has the advantage of starring Penelope Cruz and Javier Bardem. But watch out for “Shoplifters,” “Museo” (starring Globes favorite Gael Garcia Bernal), “What Will People Say,” “The Guilty” and “Happy as Lazzaro” (which will give them another chance to salute a widely acclaimed film ineligible for the Oscars). With nominations moved up to the first week of December instead of the second week, voters had less time than usual to catch up on the glut of television. That might help existing shows over new ones, although “Killing Eve” is inescapable and the presence of Julia Roberts in “Homecoming” should be more than enough to give that show a nomination. Otherwise, it’s likely that voters will lean toward last year’s winner, “The Handmaid’s Tale” and maybe the final season of “The Americans,” and lots of HFPA members are still fans of “This Is Us.” Among new shows, “Pose” might be a little too adventurous for their tastes. But “Better Call Saul” or “Westworld” could easily end up in the mix, as could HBO’s summer premiere “Succession,” which would allow the Globes to recognize a show before the Emmys can. Voters still love “This Is Us” and they’ve always loved Kevin Costner, so that takes care of three slots. It would seem churlish to deny Matthew Rhys in the final season of “The Americans,” and J.K. Simmons could make it in a battle with John Krasinski (“Jack Ryan”), Jason Bateman (“Ozark”), Bob Odenkirk (“Better Call Saul”) and Stephan James (“Homecoming”) for that last spot. Do the voters want Julia Roberts to come to their party? Of course they do. They know they also need Sandra Oh and Elisabeth Moss and Keri Russell, but from there they could go for Oh’s castmate Jodie Comer, Evan Rachel Wood for another season of “Westworld” or two ways to make a statement: Rewarding Jodie Whittaker for being the first female “Doctor Who” or Robin Wright for anchoring the Kevin Spacey-less “House of Cards.” That last one might be irresistible. A few new comedy shows are vying for spots in this category, among them “Barry,” “The Kominsky Method,” “Kidding” and “Camping.” “Barry” seems to be a lock and “The Kominsky Method,” with HFPA favorite Michael Douglas as its star, has a strong shot at securing a nomination alongside last year’s winner, “The Marvelous Mrs. Maisel” and the previous year’s winner, “Atlanta.” But you can’t rule out two-time nominee “black-ish” or the second season of “The Good Place.” And you can’t rule out the star power of Jim Carry in “Kidding,” or the shot of adrenaline he might deliver to the awards show. As a star at the center of a big film (“Vice”) and a big HBO miniseries (“Sharp Objects”), Amy Adams is on solid footing here to land two Globe nominations, one in film and one in TV. So is Regina King, who may well pair her “If Beale Street Could Talk” film nom with another one for “Seven Seconds.” And you know, Emma Stone might just double up with “The Favourite” in film and “Maniac” in TV. If they want actresses who won’t have another Globe nomination in a different category, they’ll likely look to Patricia Arquette (“Escape at Dannemora”), Laura Dern (“The Tale”) and maybe Florence Pugh (“The Little Drummer Girl”), Hayley Atwell (“Howards End”) or Sarah Paulson (“American Horror Story: Apocalypse”). The supporting categories in television are wide open, mixing comedy and drama series with TV movies and limited series. Among the hundreds of potential nominees, we’re going with a mixture of old favorites and hot newcomers, with the emphasis on the former. Again, performers from every type of TV show are eligible — and again, it’s hard to make sense of the possibilities except that Globe voters like these folks. Bonus points to Laurie Metcalf for surviving the “Roseanne” wreck.